Quite a surprise to some people, because it is actually an older map by the known mapper Travin who once again takes a MOTW-Trophy for his night table ;). The map Nautilus is designed for 4 players and offers - beside a great stylish look, of course - an interesting gameplay and the scaring feeling of being very close to your enemy. If you are too lazy for dropping a comment in the mapthread or if you just want to start playing on it immediately, try the direct download! If you have some cool gamnes on it, just drop a few into the uploader right in the mapthread! Congratulations to Travin, your map (4)Nautilus 1.1 is MOTW 2006.04! So today the showmatch between Darki and Virus_Protoss took place. Virus_Protoss won the Headoff tourney managed by LGI and got the chance to face Darki in a best of 9 showmatch. The event was originally supposed to be played yesterday, but Darki did not manage to show up, and LGI rescheduled the showmatch to 19.00 today instead. Being the Admin of this event i saw myself with the two competitiors in the channel right on time to start the match. Starparty: So, Virus_protoss, what do you think of this event and will Darki be a difficult opponent? The second game both player chose Protoss and they started in corner positions with Darki at 2, and Virus at 8. Both players forces each other to go a basic mass zealot strategy and virus tries two proxy gates in Darkis main whilst their forces battle it out back and forth between the bases. The strategy fails with only a few probe casualties for Darki and instead the game quickly turns when several dark templars start running around in Virus base. Darki expands while virus idles in his base, waiting for observers and having the upper hand in economy, Darki warps zealots and goons from 7-8 gates and the game ends in 2:0 for Darki. Game 3 on nightlight was also a PvP with Virus to the left, and Darki to the right. Virus was determined to make up for the loss of macro in the previous game and goes a fast tech into mass goon strategy. Darki tries harrassing with a few zealots but doesnt gain very much from it. Darki played it slow, keeping his options open to effectivelly counter the strategy Virus would chose. However, Darkis observer missed the fact that two dark templars were heading towards his base. In an act of awesomness Darki gathered all his workers in a bunch and stacked them on top of the assasins. Virus, who wasnt aware of what happened, could see his DT's being owned by a reaver, utilizing the fact that the scarab splash doesnt affect your own units. After that the game turned out to another macro battle with Darki finally having the bigger army and ending the match 3:0. 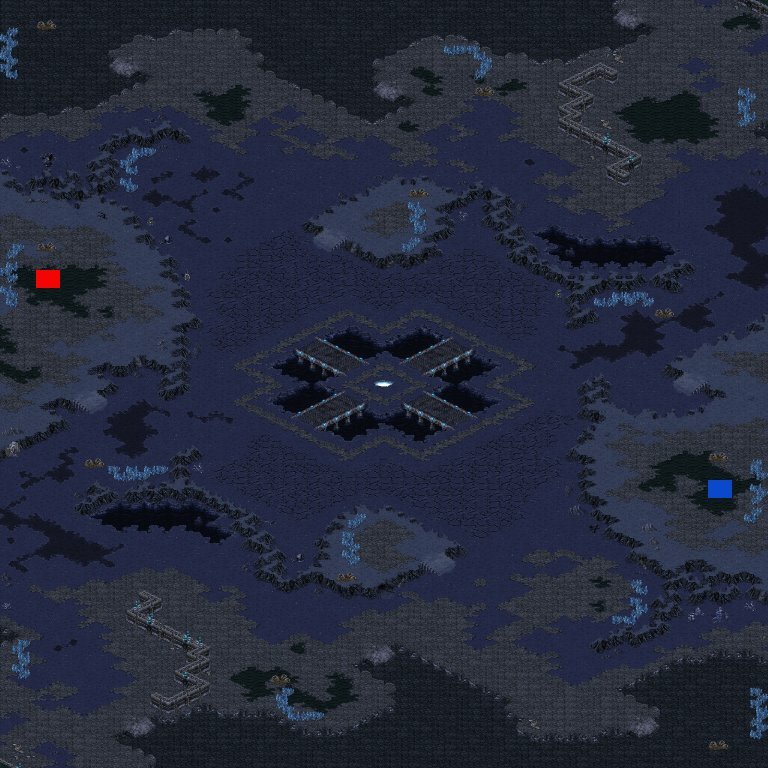 The fourth battlefield was the underplayed BlizzCon map Crusader by Travin. Again PvP with both players starting on opposite sides of the map, Darki at 8 and Virus at 2. The distances here were a bit longer than on the previous map so a bigger macro war could be expected. Virus again did a fast 1 gate goon build while Darki, on the other hand, wasn't geting core and seemed to save up resources for something. A lone zealot traveled towards Virus empty base and just before it arrived , Darkis scouting probe builds a pylon prison infront of the enemy gate. However, just before virus goon warpes in, he makes an amazing move and puts his own pylon in the empty pylon prison, forcing his dragoon to exit the gate on the rear side instead of into the trap! This, ladies and gentlemen, was a true pinnacle of the game. However, Virus had not made as good reconnaisence of the battlefield as Darki had, and lost when he found his containment surrounded by darkis mixed troops who had ventured around the blockade on the nearby bridge. Last game, and Virus at 6 began being frustrated by the overwhelming opposition and went Zerg vs Protoss in an effort to hurt Darki with 1 hatch lair muta. Darki at 2, still going strong with his protoss warriors executed a reaver sair build with exelence and, in difference from virus in game 1, protected his base with a few goons and a cannon before finalizing his tech build. With micro > macro virus tried to harras down the protoss, but found himself hitting his head into a concrete wall. When the first reaver dropped down in the zerg mineral line, all drones except four were slaughtered by the psionic explosions from the scarab and from that point, the zerg would just be pounded harder and harder down in the ground until finally leaving the game with frustration. This was a very entertaining event to watch because, although there were a difference in skill, Virus_Protoss pulled off some neat tricks and the games in general were very audience friendly imo. As I saw it the biggest mistake that were done was that Virus played a bit too offensive in the PvP games, letting Darki rely on his defences and massing up armies that had no trouble in neutralizing the bulgarian Protoss. Darki played a safe game with good counters. A big thanks too both of the players though for participating in this event, and i hope that both had a fun time despite the one-sided result. Here we go again. 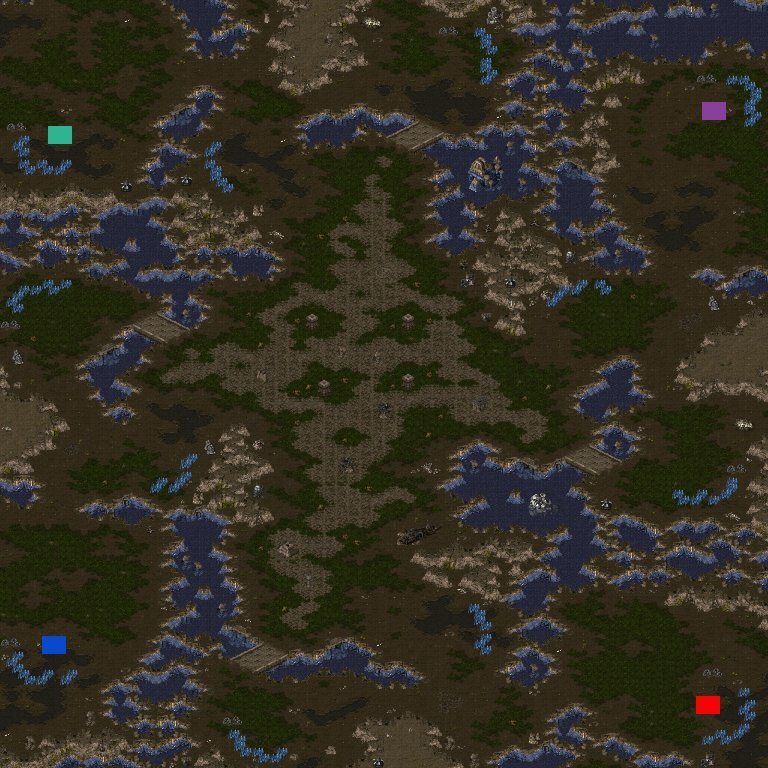 We just had short time this week and surprisingly the votes were quite clear, so here is our actual Map of the Week! 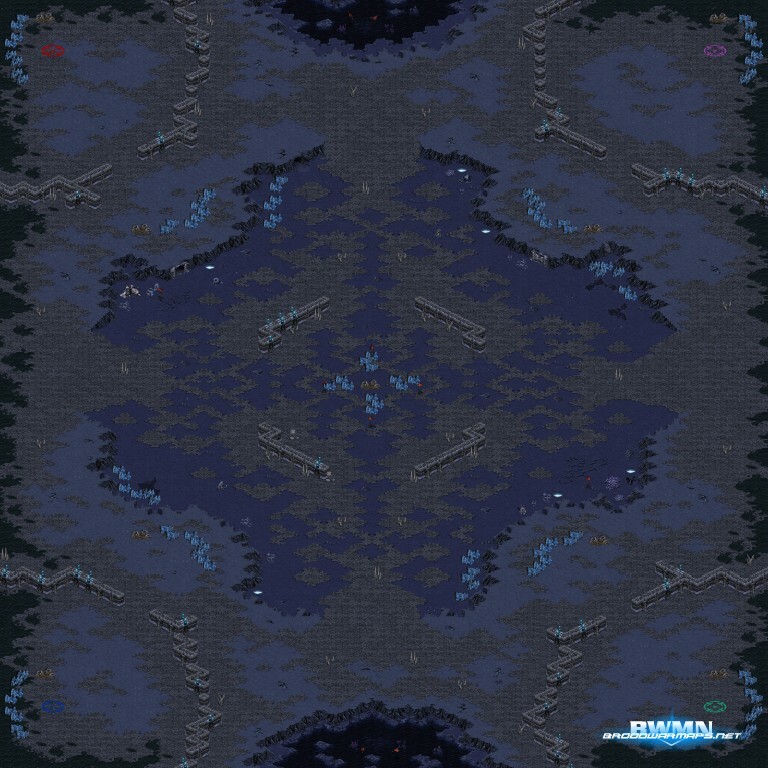 Once again trcc (aka tronicc) showed us his skills with making a very nice badlands map, called Memory Cell. On the first view, it somehow reminds of Nostalgia, but in fact it differs a lot. The highground path leads from the center to the mineral only and is also used as an easier to defend dropspot. The wide center in the map is the only place where you can get an extra gas in 2on2, and for that, an important place to fight for. 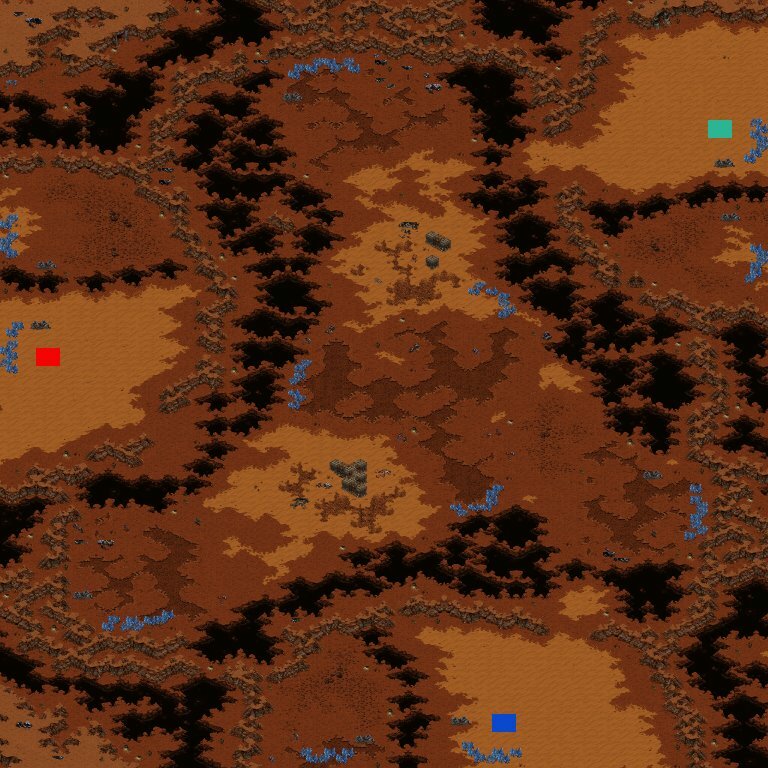 And, after everything is buildable ground, you have to be aware of Terran turrets and maybe hidden Warpgates all ofer the map. Memory Cell really calls out for every little part of your memory to recall nice tactics and overrun your helpless enemy. 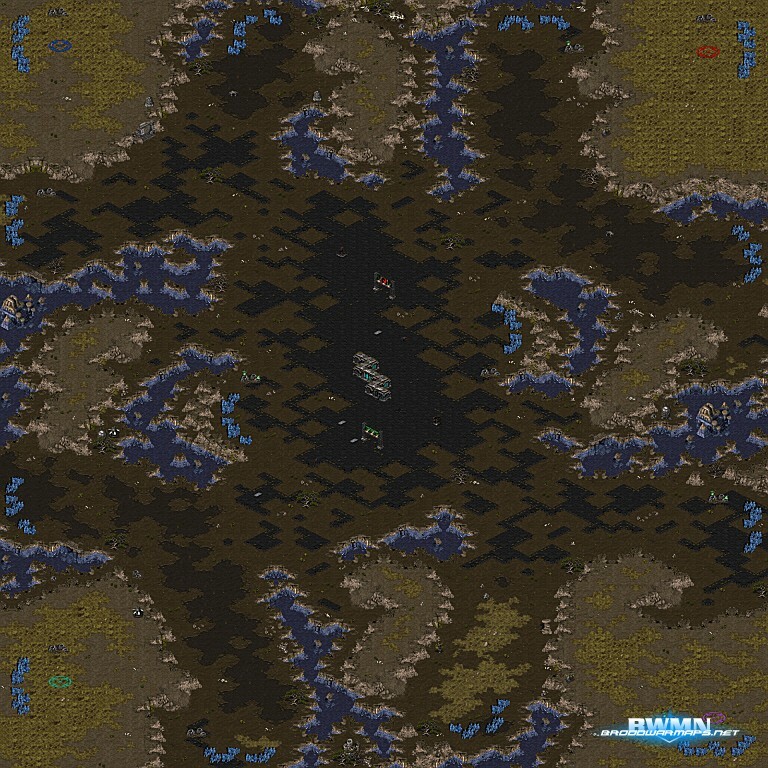 Nice map, nice design, nice concept and in the end our newest nice Map of the Week! Download the Melee or Observerversion , or post a comment into the Memory Cell mapthread. There will be a BWM.N ShowMatch of oG)Duke vs ToT)iNcontroL( January 13th at 2:00 PM CET. The full news is available � here. iNcontroL won the match 4-2. There were some minor complications that were my fault, but we pulled it off. I only got to see one game, but it was a tough one. The full article and replay pack are available at the above link.